Life Coach Katherine Mackenzie-Smith's Self-Discovery Lessons on Shining Bright as an Introvert | Arianna Merritt, M.Ed. 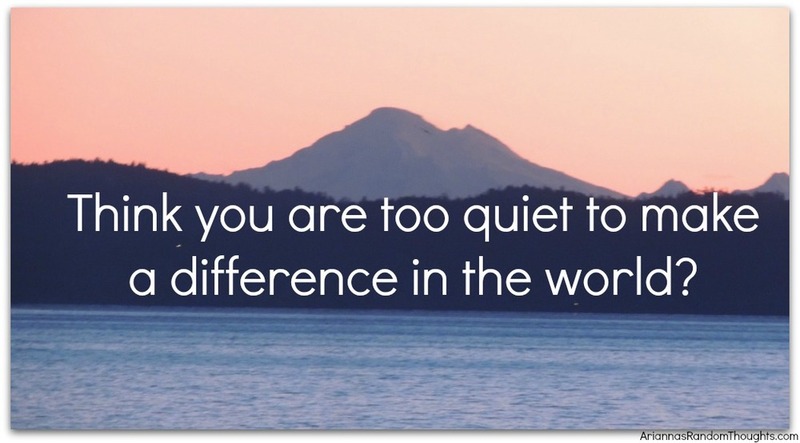 Think you are too quiet to make a difference in the world? Over the years, many of my readers have expressed that because they are “shy, quiet, introverted, and/or sensitive,” they don’t put themselves out there to be seen. I was like that too. During my teens I was extremely shy; I had a hard time performing in public as I didn’t want to be judged negatively. I took supportive roles rather than lead ones. I didn’t want to stand out. I didn’t want the attention. Now, look at me! Today my guest at The Self-Discovery Retreat is Katherine Mackenzie-Smith, a life coach for introverts, an assistant life coach trainer, a writer, and a speaker. Katherine hails from Australia; her light to empower introverts shines so brightly it resonates around the world! I had to reach out and invite her to share why she speaks from the heart. Through reading Katherine’s story, passions, and life lessons, I hope you will be empowered on your journey to rise to your platform & shine! Tell me your story. I'd love to hear how you turned your idea for The Beauty of Life into action. How did you rise to your platform & shine? The Beauty of Life, and now katherinemackenziesmith.com, evolved out of total life and career dissatisfaction. Since I was 15, I'd wanted to work in television, having been a movie and TV geek pretty much my whole life. Cut to being in my late 20s and in a career that didn't light me up. I met so many amazing people along the way but the actual career progression was so disheartening and I was completely worn out! I'd moved states (from Brisbane, Queensland, to Sydney in New South Wales) and I started a blog to keep in touch with my friends and family back home. Suddenly I had a creative outlet and that opened up my eyes to the infinite possibilities online. My first blog evolved to where I am today, and I got here from taking small steps every day and from so badly wanting to create meaningful change in my life. How did you develop the courage after “spending my school years shrinking down and hiding behind protective masks” to stand tall? That is such a powerful question! Again, it was a long and slow process; I know that I'm still working through a lot of that ‘stuff’ that's built up over the years. But the first steps for me were creating a beautiful, loving support network, hiring a coach to help me when I was struggling, and becoming a raving fan of kinesiology. Those things really gave me the tools I needed to push on and learn to find my own light to shine in. I think we have so much opportunity in this time we live in, thanks to the Internet. We can share our stories, values, and our message in a way that has never been so easily accessible before. We're so lucky. And I think speaking from the heart is how you truly connect with people - either in real life or online. Being vulnerable and real is the most effective way of doing this and it brings the right people closer to you. Speaking of self-expression, I read on your website that you were “dumped once for ‘being too quiet’ and having my heart broken before I realized how important it was to be me.” Being your genuine self in a relationship is essential - can you tell me more about how you learned this valuable lesson? This is actually a hilarious story because I fell for a guy when I was 18 - the first boy I ever loved - but I kind of freaked out. I got all in my head and didn't know how to be myself around him. But also, I'm an introvert; I process internally and I love to listen more than talk about myself. It was a bit of a cop-out break up to be honest! I think it was mostly because he wanted to go out with another girl we worked with who was much more bubbly and loud than I was! About five years later, I finally realized that I needed to get clear with myself about who I wanted to be in a relationship with. I sat down and thought of all the qualities I was looking for in a partner and a few weeks later, the same guy added me as a friend on Facebook. We actually ended up getting back together, after both growing up a lot and working out what we really wanted in a relationship. I'm still with him nearly 8 years later. What does the term ‘self-discovery’ mean to you? ‘Self-discovery’ means really getting in touch with who you are. I know this seems like a bit of a bizarre concept because how can we be anyone but who we are? But the thing is that we do hide parts of ourselves because of an inherent desire to fit in. This starts really early on, I think, when we're at school and go through those formative years of trying to get a sense of the world and the part we play in it. After years, it can be so easy to forget who we are. ‘Self-discovery’ is about coming back to basics. Tuning in with who you are, what you need, and what you want to do with this one precious life. The better you know yourself, the more you can get clear on the decisions you make, the people you spend your time with, and the legacy you want to leave. How do you practice self-care in your daily life? As a more introverted and sensitive person, I have learned that I need to be aware of my energy. I can get worn out with too much stimulation and the strangest things make me cranky if I ignore them (like noise and getting too hungry). I look after myself by checking in and asking, 'What do I need right now?". I know that I need time alone to re-energise and I make sure to honour that. I create space in my schedule for quiet time, I create comfortable spaces at home, I meditate and journal to get out of my mind. I think truly the most important thing is to know what you need and to check in regularly to make sure you're getting that. How important is social support in overcoming obstacles? How did you find your support group? Oh, it's everything! Even as an introvert who thoroughly enjoys alone time, I can say without a shadow of a doubt that I wouldn't be where I am today without my support network! I think it can sometimes be challenging to make new friends as an adult. I'm not the kind of person to reach out to people and try to make friends, I'll be honest with you! I've been so lucky, though, that in staying as true to myself as I can, I've attracted some incredible people into my life. Some through working in television. Some through courses I've done or events I've attended. When you're clear about the kind of people you want in your life, it's amazing how opportunities to connect with those people come around! I prefer the word ‘genuine’ to ‘authentic’ too. What does a ‘genuine’ friend look like to you? Yay! I thought I was the only person who felt that way! A genuine friend is someone who will call you on your B.S, who'll be there for you no matter what, and who loves you unconditionally but will also give you a serious talking to when you need/deserve it. I think two people being vulnerable and open with each other is the most incredible thing. It's awesome in all relationships, but to have a friend who isn't afraid to say, "I love you, I see you, and I can't imagine my life without you." That's so special! I think we should tell our friends how much they mean to us more often. Because they see us at our worst and they put up with us at our grumpiest and still love us. What advice would you give to someone who is just starting out as an entrepreneur? What tool could change their world? Ohhh, so many! I could go on for days! The first thing is, work out WHY you do what you do. Going out and creating your own thing is H.A.R.D. It takes more time and energy and money and patience and persistence than you can ever imagine. You will grow and stretch and learn so much; you will definitely be a better person for it. But it's not easy. Knowing why you do what you do is the key. The thing that makes you cry because it means so much to you. The thing that makes you get out of bed in the morning (because you have no boss and no automatic pay check motivating you, you need to dig deep and find something else!). Find that why and you will never question if you've made the right decision. Also, get help. Get a coach, or a kinesiologist, or a team to help you get through some of the most intense personal growth you'll ever do. Thanks so much, Katherine, for this powerful conversation and for shining your light globally. I’m so grateful that we connected. 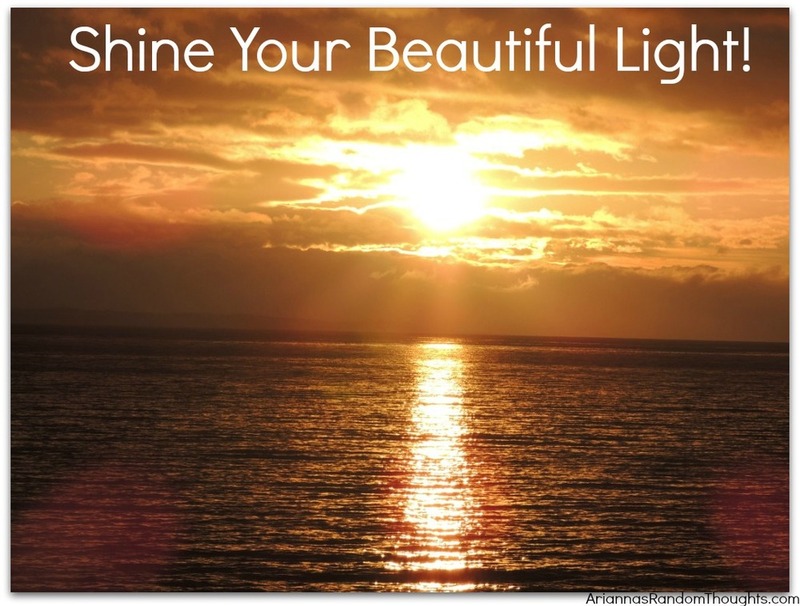 Your passion for empowering others to step into their quiet power shines brightly! Thank you all for reading and for your presence at The Self-Discovery Retreat. You rock! I’d love to hear from all of you, why do you do what you do? Or, what is it that you want so badly and what do you need to help make it happen?Feel free to share in the Comments section below. We can all learn from hearing your stories and advice! If you know of someone who might benefit from this interview, please share it with them. Mar 18 Be Brave. Show Up at the Beach. Be Seen.